Top 10 Eats in Cardiff. What I'm trying to say is, when you travel, you want something special, something you can't get at home. It doesn't necessarily have to be regional, but it does have to be good. For example, one of my favorite meals in Brussels is Middle Eastern fast-food. Let me also clarify, I'm not big on posh sit-down meals. No, give me a dirty, dodgy back-alley filled with someone selling something from a cart and I'm my happiest. What Cardiff does have is some truly unusual places to eat like Clarkie's Pies, or the two women down at Mermaid's Quay who will bake you a fresh Welsh cake on the spot. What really interests me is how few of the students I attend school with know about these places. I feel like the internet is a black hole for this sort of information (believe me, I've looked), and truly, how tragic is it that some of my comrades might leave Wales having never eating cockles and laver-bread, or worse yet, never having a Welsh cake? So here it is, I'm compiling a list which will be amended over the course of the next year, listing the best places I've eaten here. They're student oriented, meaning they're cheap, delicious and the portions are fantastic. Having written my own book on cooking and since I'm someone who has made a living from cooking in the kitchen, I'm particular when it comes to good food. 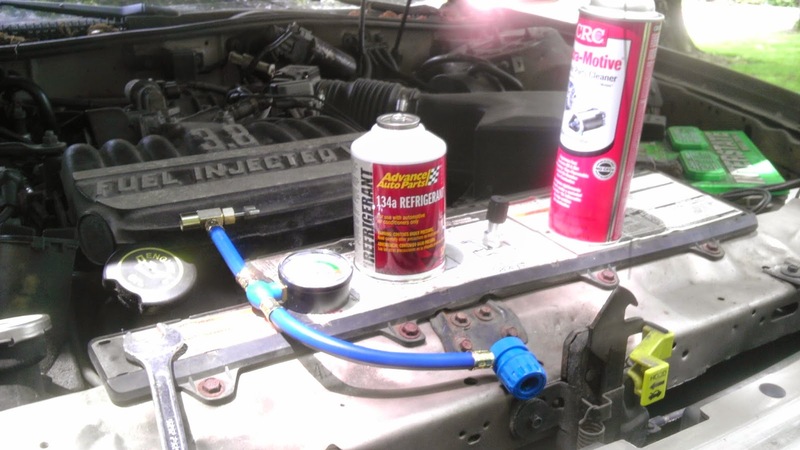 It doesn't have to be expensive to be amazing, but it does have to be innovative. If I read one more blog out there that tells me the best restaurant in Cardiff is serving a cube of roasted duck with plum sauce drizzled artistically on a white plate, I might scream. I don't doubt it's good, it's just not realistic when the university budgets you to £5 a day. Seriously, this is the best pizza in Cardiff. I don't know how they do it, and I really don't care (yes I do). It's absolutely amazing pizza. It's centrally located, and perfect except for the fact you almost have to reserve a table. We were lucky as it was a cold night, and decided to eat outdoors. 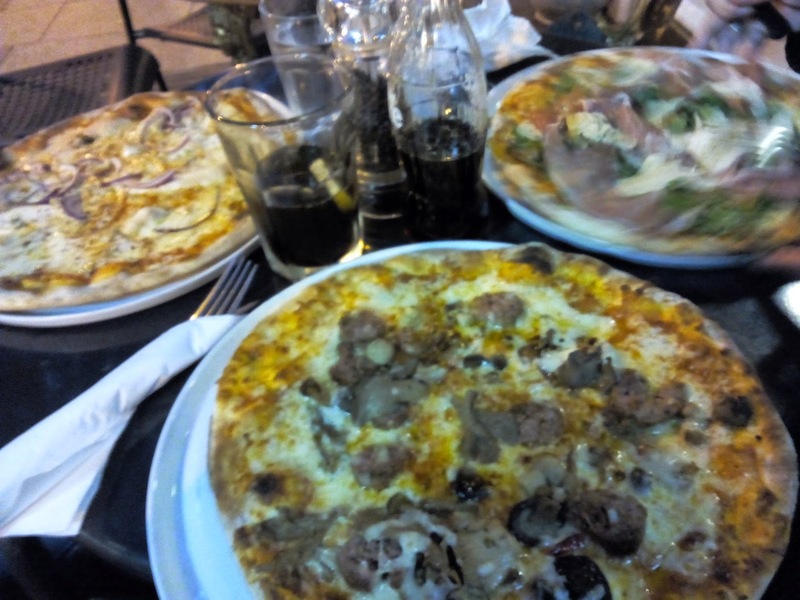 I had the sausage and mushroom pizza, and can honestly say I thought I was in Heaven. Why is it special? It's the real deal, authentic Italian down to the waiter. Thin crust, authentic Italian wood-fired pizza served from a resto the size of a bread box. Run, don't walk to this restaurant if you want amazing to touch your life just once. Additionally, service was superb, they had no problem splitting the bill, and the waitstaff was attentive and courteous. Cost £10-15 (and worth every pence). Their White House sandwich is the size of Cardiff Castle, costs only £6 and some change, and will amaze your taste buds (and friends too). So far, it's the most incredible thing I've eaten in Cardiff. Normally I would completely reject an American concept abroad, but I really can't put into words how wonderful it is to have a real sandwich from a real deli, even if it does have New York roots. NYD proves to me that the arcades can compete against Saint David's, because the lines are out the door every time I walk by. We just need more innovative unique ideas from entrepreneurs like this one. I'll admit I have a bit of an addiction to Mexican food. Considering it took me three months to find anything Mexican while living in Brussels, I was stunned to find Cardiff has a burrito shack, and it's actually really good. 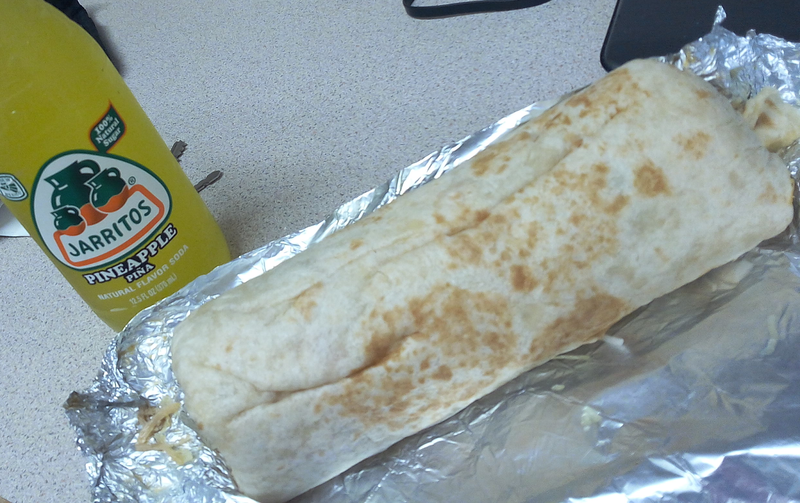 The beef burrito with habanero salsa is really flavorful, and I was really impressed that they carry pineapple Jarritos, an authentic drink brand from Mexico. Cost is about £6. I do wish they'd add queso to their offerings (similar to Moe's in the U.S.), but it's honestly one of my favorite places to eat. So if you know me, you know I love a good kabob. In Belgium we called them Durums, and my attempts to find an equivalent here in Cardiff has, up till recently, resulted in some really bad results (one restaurant in City Centre left their burner off on their meat, I subsequently got dysentery). KBS, I must confess, produces the best Shwarma wrap that I've ever had (It has actually been rated one of the ten best kabobs in the U.K.). I was expecting average, but what I received was something truly amazing. Fresh, hand-made Naan bread patted out and grilled in front of you, almost a pound of fresh lamb off the spit (this thing is HUGE), and salad, just like I'm used to from Belgium. Of course, I'm not used to having to order the chips separately (in Belgium, they put them in the kebab automatically), so I had to order a small chips and dump them in my wrap, but it was absolutely perfect. In fact, the addition of vinegar and salt, a distinctly British thing, added something amazing to the the whole package here, it was wonderful! 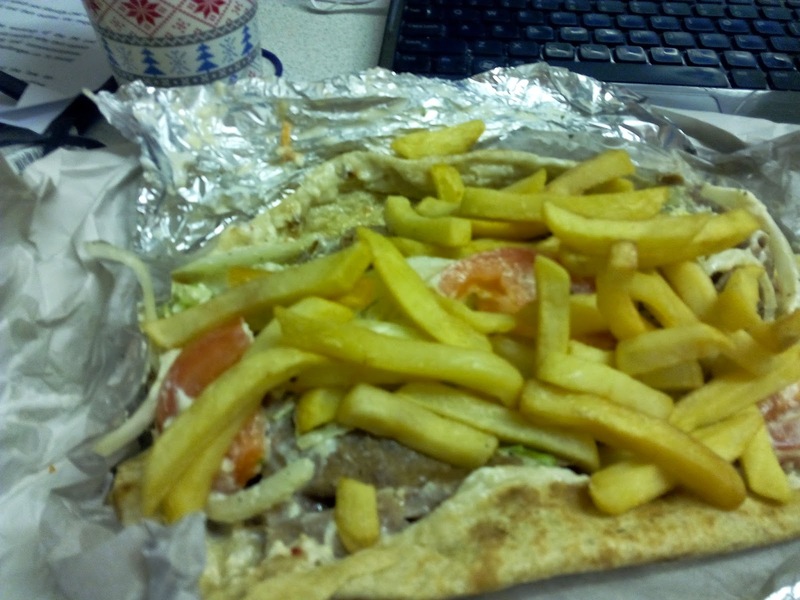 So my advice, go order a lamb donner kebab on their fresh Nann bread with garlic sauce, and order a small order of chips. Some assembly required, but it might be the best take-away in all of Wales. I'm told that this is a local's favorite and that it's the best breakfast in town. I would tend to agree. At Servini's they serve breakfast all-day from 8-4. The best part is their baguettes which are perfect for take-away. The Grand Slam includes eggs, bacon, sausage, mushrooms and tomatoes. 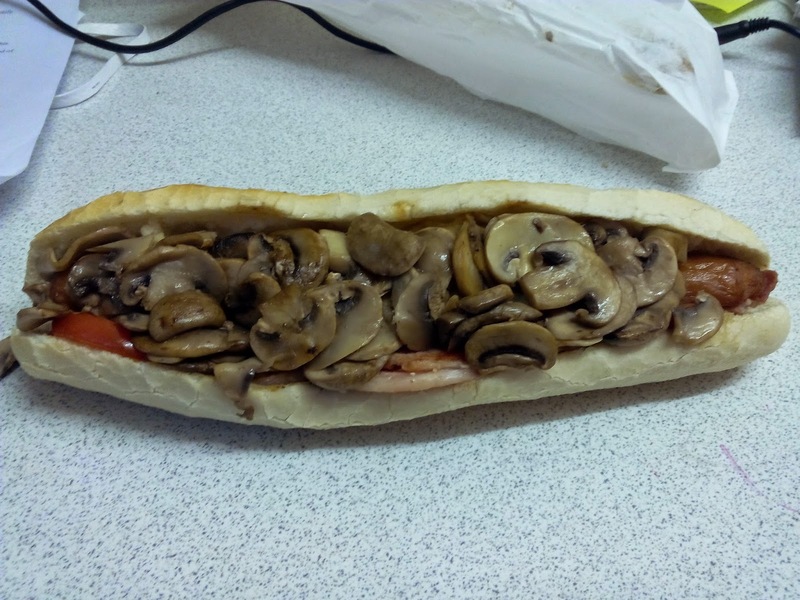 Think of it as a Full-English on a French baguette (now there's a twist of fate). It's that ideal hangover food if you've managed to find yourself waking up on a curb somewhere, or in general, if you want one heck of a breakfast. Cost £4.35. When I lived in Belgium I used to go to a little sandwich shop at the VUB just like every other student on campus. They were cheap, delicious, and simple. Fresh does the exact same thing, only a bit better. They're in Morgan Arcade and there's always a line. The shop is barely big enough to sneeze in, but the staff is super friendly and the baguettes cost under £4. 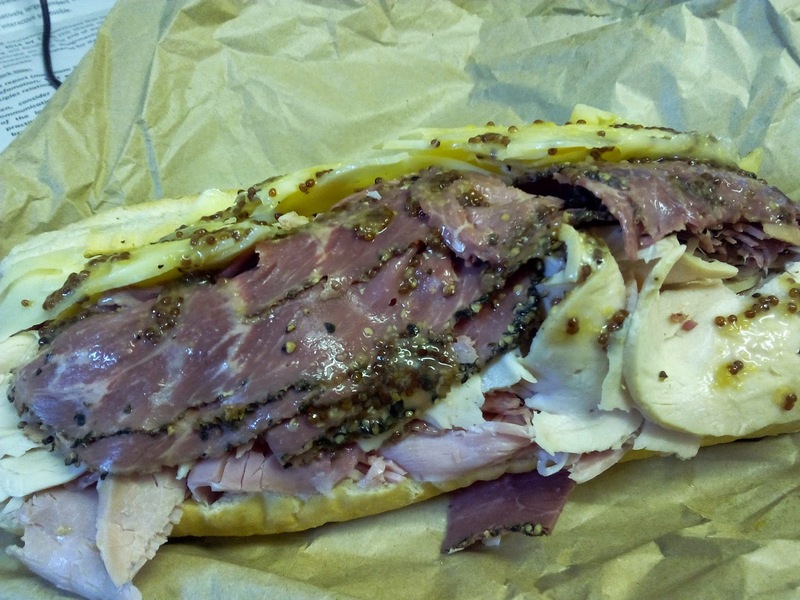 I liked the pastrami and salami I had with its hand-sliced pickles and crumbles. I definitely will be returning and praying they open a second location next to the journalism building. 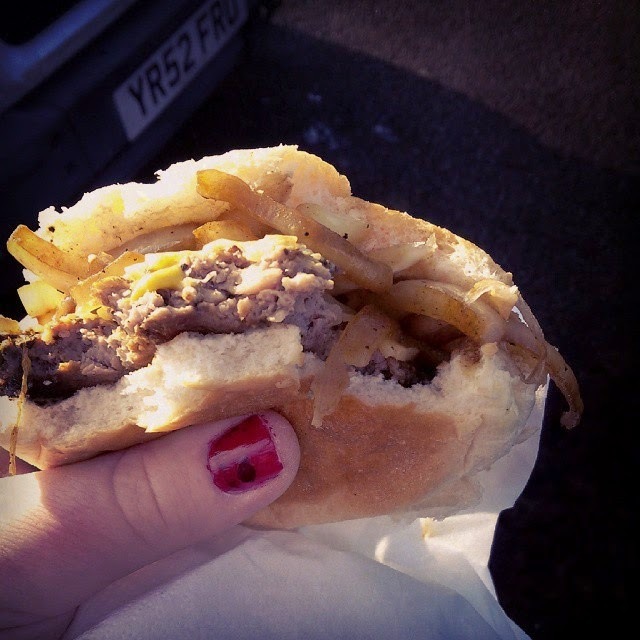 Want my take on the best burger in Cardiff? It's not where you'd anticipate, it's not in some shiny restaurant start-up, no it's served from a table at the Riverside Market by a woman with no English (usually at the far end of the market). Better yet it's made of duck (they also have beef too). For £3.80 you get the most flavorful patty, grilled onions, cheese, and roll you're going to find. Better yet, she provides unlimited American mustard and ketchup, meaning this is a serious street burger. Make sure you grab a English Apple Juice from Old Sandlin Farm and chow down. It's absolutely brilliant. It's ducking awesome. Sure it's not a restaurant, but yes, you can survive on Welsh cakes alone. Of course, you can get regular Welsh cakes (my favorite are the chocolate chip) everywhere including the Cardiff Market (which aren't bad actually), however, if you want the best, and you want them warm (which sort of makes them amazing) just like Nan used to make, well then, you must go down to Cardiff Bay where some truly fabulous magic is taking place. They're baked in front of you on a hot griddle in the traditional style. Even better, they're just a few pence a piece. 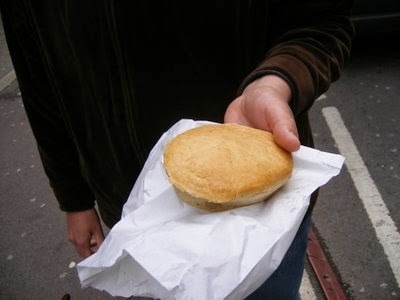 Can I just say, if you don't have a Clark's pie while in Cardiff, then you've never truly never were in Cardiff. I'll refer to a previous review of Clark's (from my visit in 2010), but let's just say, it's Cardiff's most famous food. The soul of the city is baked into each pie. This is Welsh soul-food. No one told me when I arrived in Cardiff, I'd be eating more with chop-sticks than I ever had before. From Wagamama to Red Hot Buffet, and now this, Noodle Box. Can we just say that this place is absolutely amazing? The food is perfect, the web-app ideal, decent prices, and the customer service? Out-freaking-standing. This is the best noodles I've had yet, and I wouldn't hesitate to go back. The fact that it's half a block from my flat is going to be problematic, but I figure that by the end of all this, I'll be giving up forks for good. After clubbing and pub crawls, many drinkers stop at Chippy Lane on the Victorian era Caroline Street. 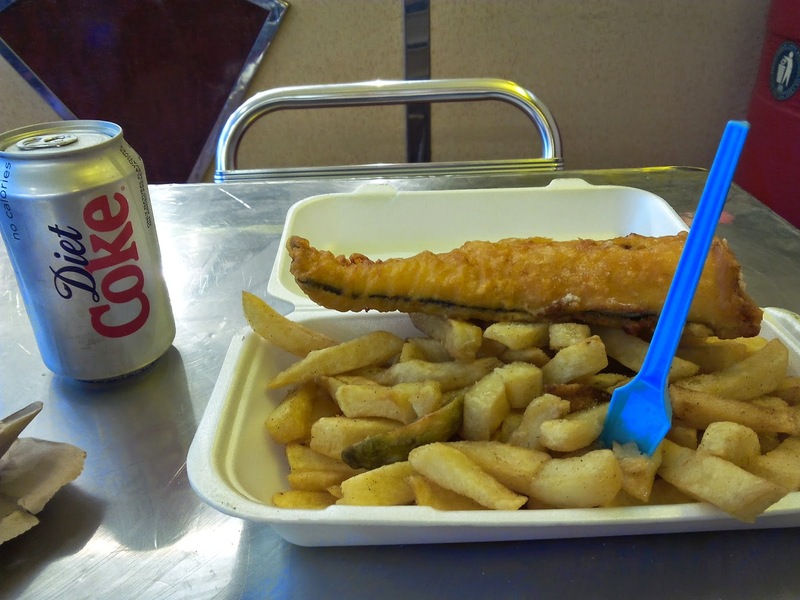 Each reveler has their preferred allegiance to either Dorothy's or Tony's (two fish bars located next to one another), and both serve a menu of fast-food items like fish and chips or the 3 AM favorite, Chicken Curry and Chips. They're also open in the day with shorter queues and fewer blurred lines. Having met the owner, I can tell you Demiro's will make you feel like family. You'll often find him shopping at local markets sourcing ingredients for the restaurant. They also serve really great Welsh food at really reasonable prices. More importantly, it's at the Bay, providing the perfect atmosphere for a night out. Yeah, I know I said I tend to stick to street-food, but every now and then a girl needs a nice meal too. I recommend starting off with some Cocos a Bara Lawr (cockles and laver bread) then moving on to the Welsh lamb and gravy with veggies and potatoes. Okay, seriously, I know they're a chain, but they're an European chain, and a rather good one at that.. Yes it took me half-way through my list to find something a yank (I'm cringing just using that word) would consider pan-English/Welsh food worth experimenting on. 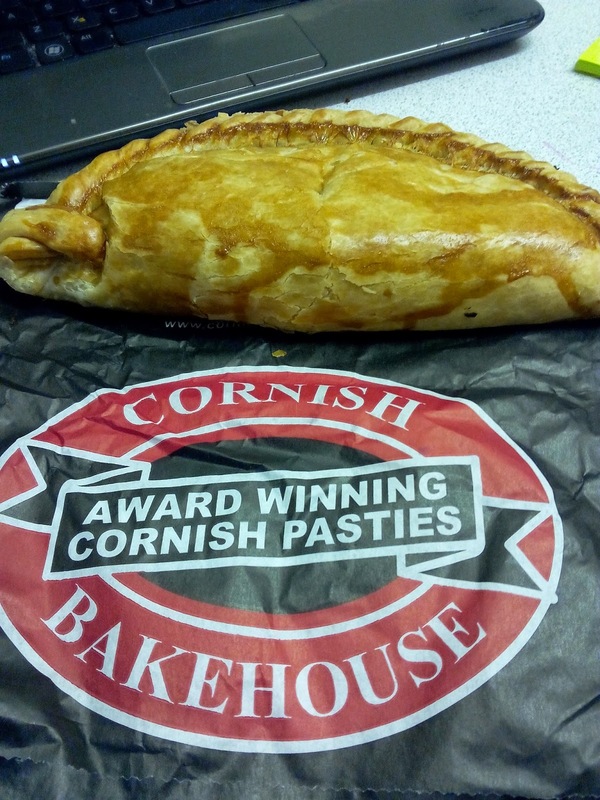 They offer giant steak pasties filled with potatoes and onion (their best seller) and other deliciousness which I'll be exploring for some time to come. They're actually still handmade and highly awarded, making it a pretty tasty place to eat at in Cardiff. It's won awards, the presentation is awesome, the atmosphere is great, and the chips are some of the best I've had. However the burger lacked something. Pay no attention to me because they've won The Best Burger award, but while it was tasty something was missing. The beef seemed too lean, and lacked appropriate seasoning. Yes, their burgers are "tidy" enough to come back for, especially since it's directly opposite Cineworld therefore making this the perfect after film food, but I'm still waiting to be impressed by someone who knows Burgers 101. I'm beginning to wonder if Five Guys, when it arrives, will be my salvation. Till then, I'll keep searching. This is a rather unassuming place on Queen Street that is normally quite busy. This is one of those odd restaurants that I can't decide whether to list or not. You see, the food is best described as crack and doesn't appear fresh or special. In fact you'll feel dirty eating here, ashamed even, like that time you went to McDonald's at 3 AM and hid the evidence under the seat of your car so your boyfriend wouldn't know. The food appears to be partially pre-processed dishes, kept under a heat-lamp; however there's something about it, something akin to addiction going on here. 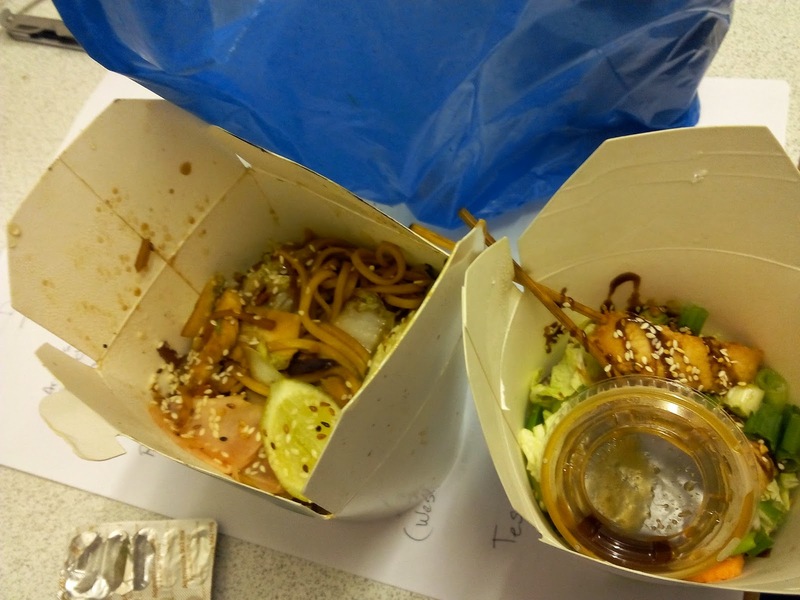 £5 for a huge box of carbohydrates including noodles and spicy pepper chicken (my favorite). Occasionally you'll find me cowering the corner grubbing on it, but I won't admit it. Troy has raving reviews online, to which I expected nothing less than amazing. While I found the meat excellent, the prices were high and the portions small. The service was nice, but there was some hesitation when we wanted to split the bill (we were a party of six). The difference in Troy being amazing or not, I think, is lost in its attempts to be posh. Overall it's a fun place to go, with really good food, but it lacks something you just can't put your finger on. If they sold their skewers for a couple pounds each out a window, I believe this place would be amazing. Trying to be everything just means its just out of its league. Crepe was okay, a bit over-priced, but their orange juice is out of this world. Definitely go grab an OJ and skip the crepe. Good food, really great imported beers that I can't afford (some upwards of £15), and a fun atmosphere. However, there just wasn't anything special about the place (other than admiring what I can't afford). This Scottish themed brewery is best saved when someone with more money takes you there. Click on the link above for a full review. If you have a suggestion, by all means, hit me up on email or social media with it, and don't forget to follow me on Twitter..